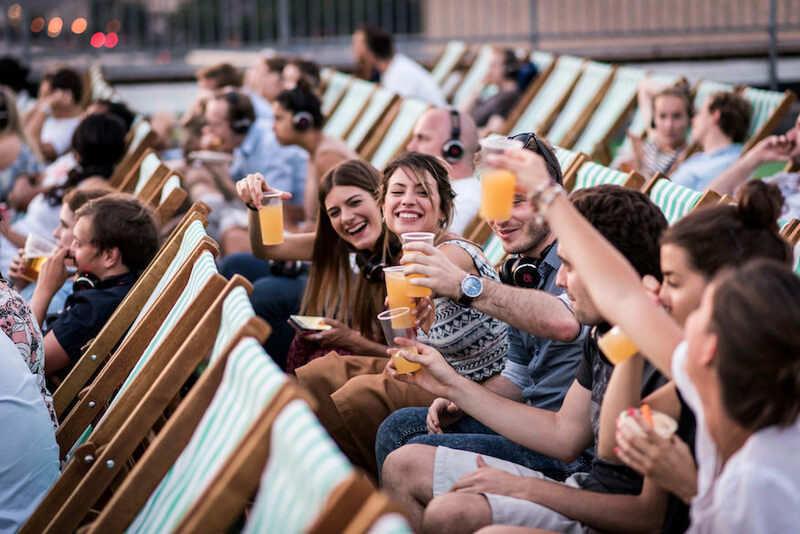 Watch a film with mates at Rooftop Film Club. One of the best things about summer? Rooftop Film Club. And this year there are more places to get high and watch great films. Organisers have just announced they've added a new location — Wapping's Tobacco Dock. 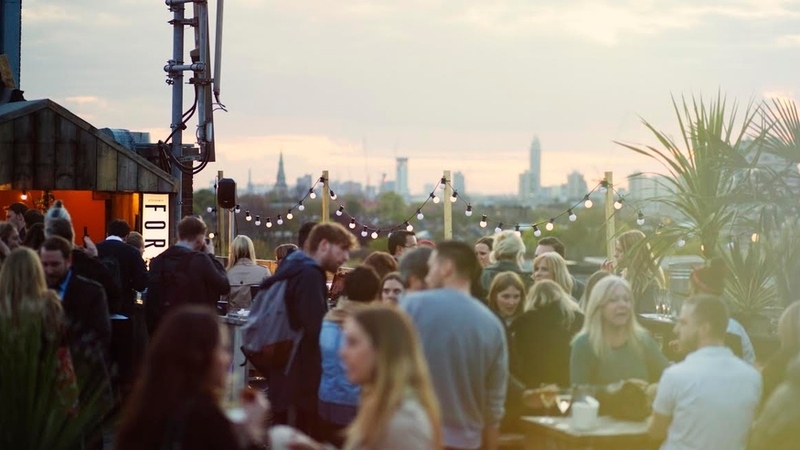 The Grade I listed warehouse has 360-degree views of some of London's best skyline architecture, and joins existing Rooftop Film Club top spots in Peckham Rye, Shoreditch, Stratford and Kensington. Kicking-off the Tobacco Dock season is fan-favourite Dirty Dancing, followed by a varied programme, from celebrated international flick City of God to Academy Award-winning, Room. Also on the programme is Kubrick masterpiece A Clockwork Orange, and less masterpiece, more guilty pleasure, Spice World; plus Dazed and Confused, National Theatre production, A View from the Bridge, and Pride. Food options will be a varied mix, put together by street food experts KERB, and there'll be coffee in plentiful supply thanks to Nespresso (George Clooney not included), and cocktails from Spirited Mixers. 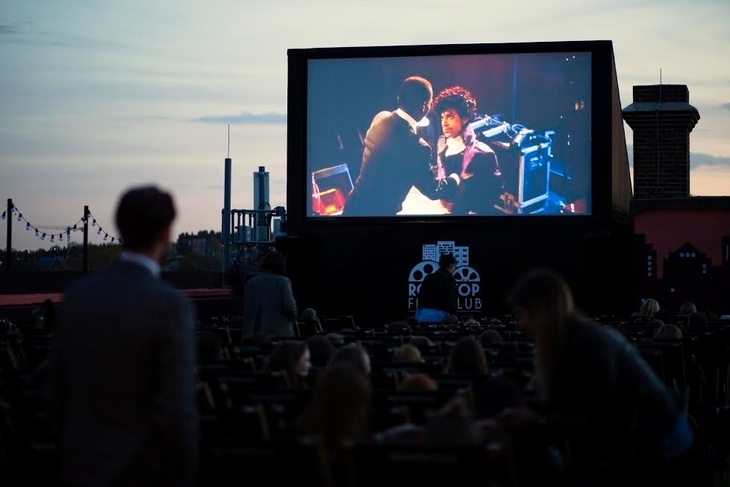 Tickets for Rooftop Film Club's Summer 2016 season go on sale today (11 May) at midday. 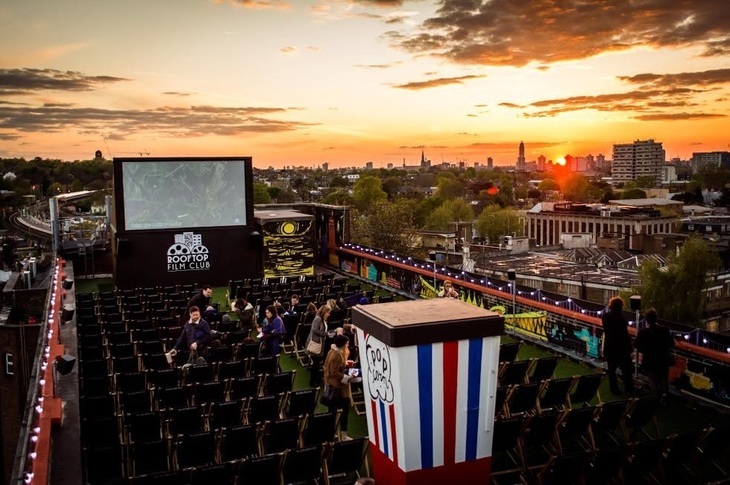 Tickets are £15 per person for screenings at The Bussey Building in Peckham, Queen of Hoxton in Shoreditch and Roof East in Stratford, and £22 per person for screenings at The Roof Gardens in Kensington. If you fancy checking out the new Tobacco Dock location and watching a film for free, we have 10 pairs of tickets to give away, including unlimited popcorn, for a screening of your choice during June. Just fill out the form below to be in the draw. Ticket and experience are non-transferrable. Unlimited popcorn offered is for the winner and one guest. Competition winner and their guest must be 18 or over. Competition closes at 5pm on 25 May, 2016. The winner will be contacted via email, with details of how to claim their prize after the closing date. Winner must confirm their chosen screening date within 48 hours of being contacted by Londonist. In the unlikely event of the screening being cancelled on the part of the organiser (Rooftop Film Club), the prize can be redeemed for one of Rooftop Film Club's events before 30 September, 2016.